What to expect: Collection for this spectacular two and a half hour cruise is at 15:30 hrs in winter and 16:00 hrs in summer. 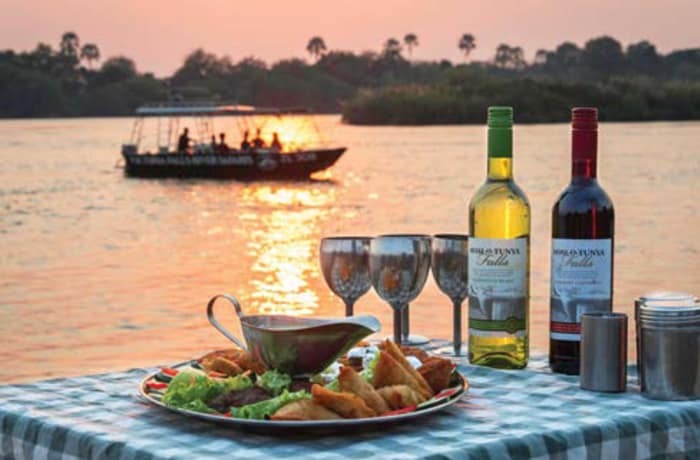 Return transfers from local Livingstone hotels are included in the rate. 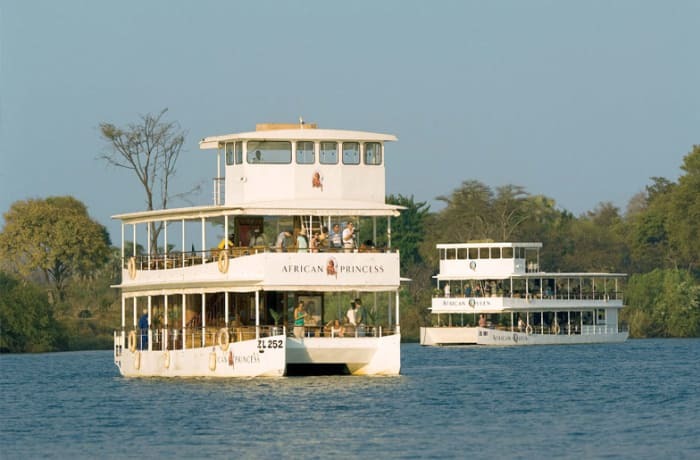 Enjoy an hour cruise on a River Safari boat with a stop-off at one of the islands for drinks and snacks with the opportunity for one-of-a-kind game viewing. 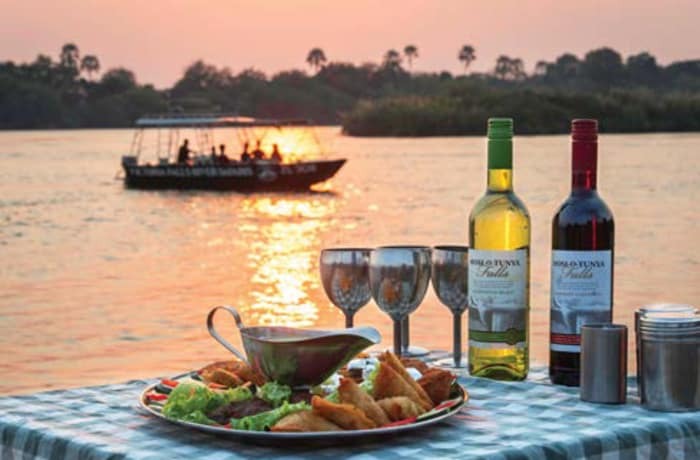 Join the African Queen or African Princess an hour later to toast the setting sun and watch as the colours change along the mighty Zambezi. On returning to the Royal Landing, you will be transferred back to your hotel at approximately 18:00 hrs in winter and 18:30 in summer just in time for a delicious dinner. Minimum 2 people.